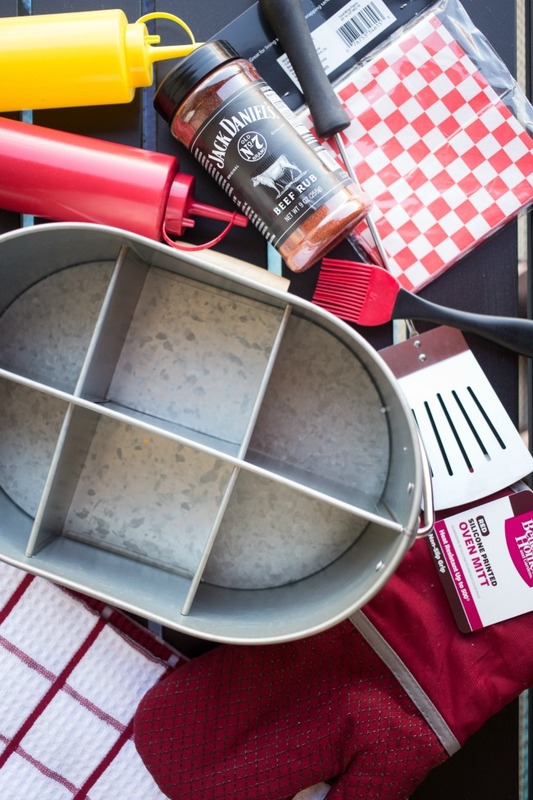 Perfect for summer entertaining, whip up or gift a Grilling Gift Caddy for all your BBQing needs! 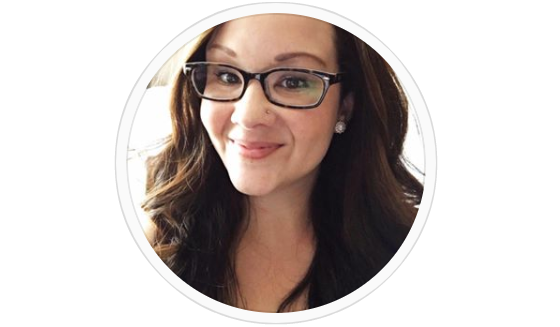 This post is sponsored by BHG Live Better. Hi friends! Summer is just about here so you know what that means – time to get outside and start entertaining! Now that we have our new outdoor space all spruced up for summer, I knew that all we need to do next is get stuff ready for grilling. Grilling is what it’s all about for our summer celebrations! 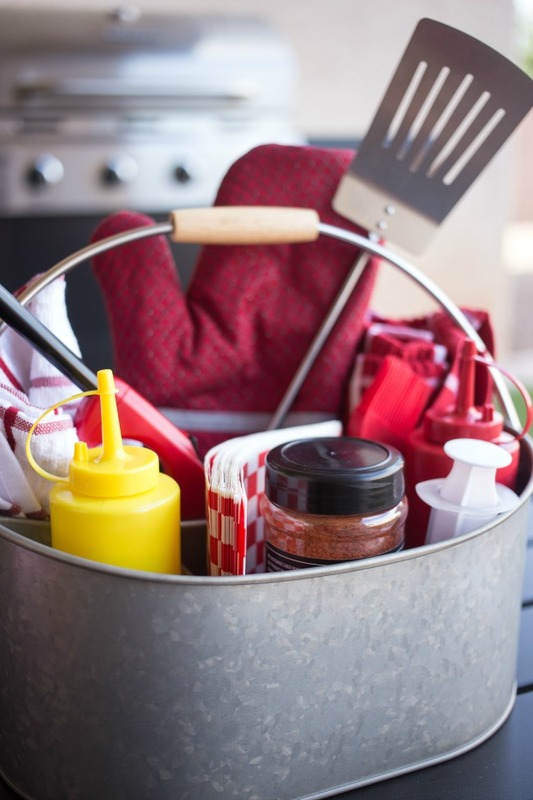 So with Memorial Day and Father’s Day coming up, what better than a Grilling Gift Caddy for all those outdoor grilling and entertaining needs. So we headed down to get everything we needed from Better Homes and Gardens at Walmart! 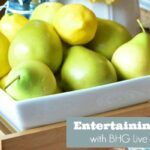 I am a HUGE fan of BHG Live Better’s Galvanized Steel Collection! And their Galvanized Utensil Caddy is the perfect organizer to have on hand for all your entertaining needs. 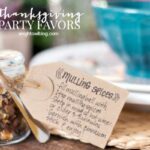 Fill it with chocolate, graham crackers and marshmallows for a s’mores station, utensils, napkins and straws for outdoor entertaining, or condiments for a good ‘ole fashion BBQ! For our Grilling Gift Caddy we grabbed Better Homes and Gardens Kitchen Towels and an Oven Mitt to go with our BBQing theme! Then we added in some fun condiment bottles, a seasoning rub and grill tools to complete the gift. All SO CUTE when bundled together, don’t you think? It makes me want to get outside and BBQ NOW! 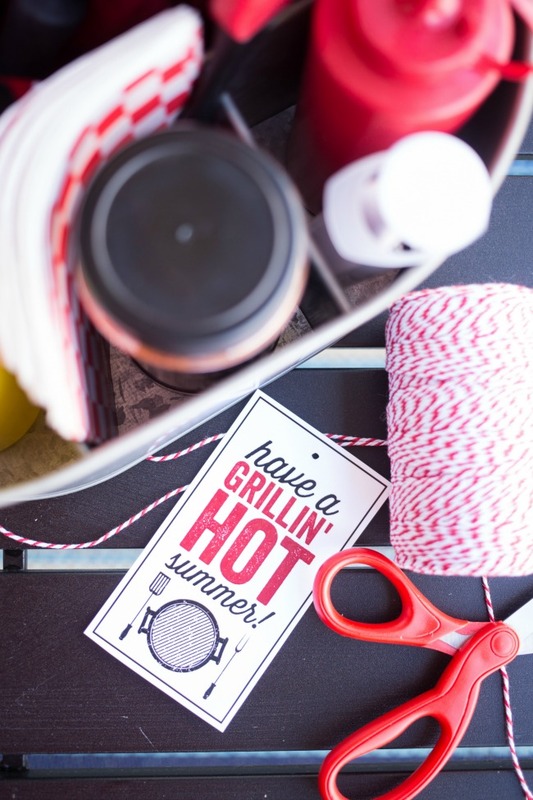 But no gift caddy would be complete without a cute little tag – so we created a tag that says “Have a Grillin’ Hot Summer!” Just click here to download and you can print out and attach your own tags! 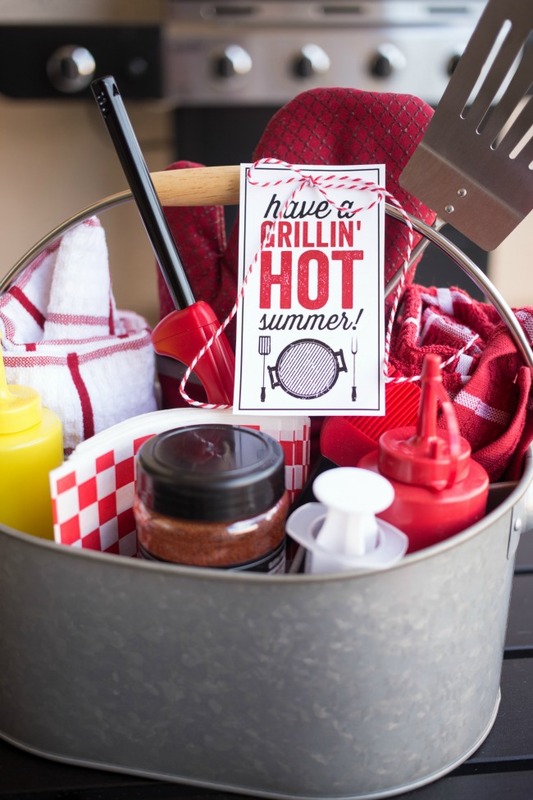 Once printed out and cut, simply add the tag to your Grilling Gift Caddy with a little red and white baker’s twine to complete the look! 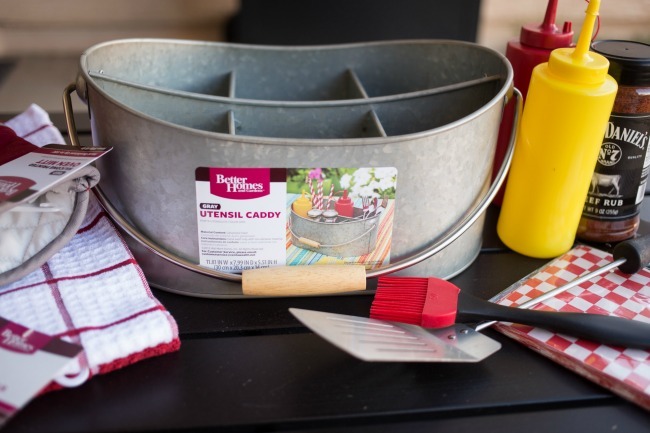 Now you have a summer BBQ kit that is PERFECT for summer entertaining! 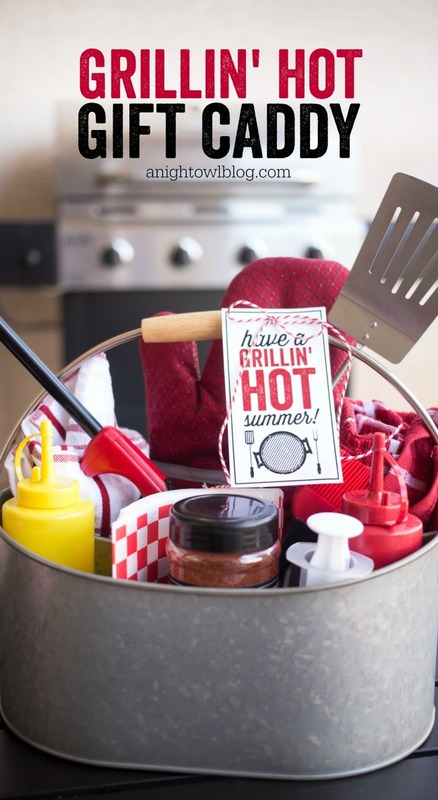 Now you can choose to keep the Grilling Gift Caddy all to yourself (I’m a little tempted to at this point), or you can give it to teachers for an end-of-school, enjoy-your-summer gift. 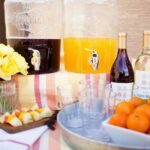 If you’re heading to a BBQ on Memorial Day, why not whip up one of these caddy’s as a fun hostess gift?! 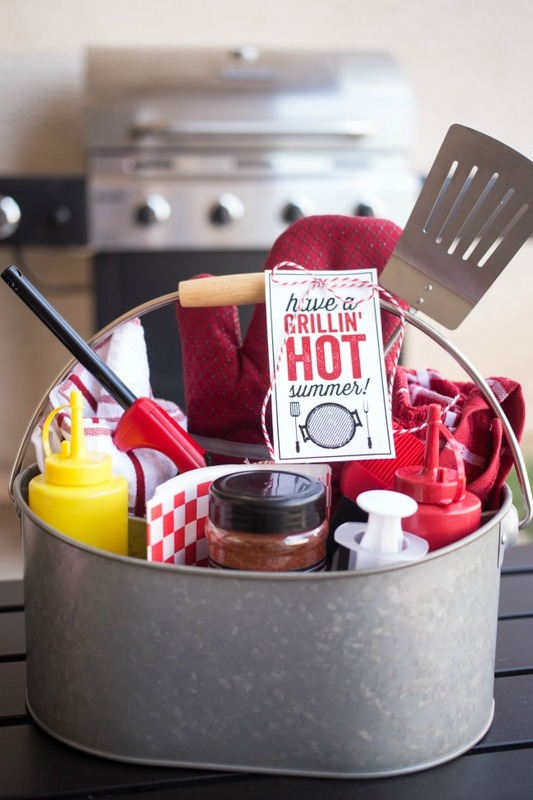 OR last but not least, put together a Grilling Gift Caddy for the grillmaster in your life – DAD! This would make the cutest Father’s Day Gift. 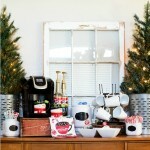 So if you’re gearing up for entertaining this summer, be sure to check out Better Homes and Gardens at Walmart! I know I’m stocking up on all their galvanized items before they’re gone. What are your entertaining plans this summer?